Soon after releasing teaser images, Lamborghini have released official details on the Lamborghini Huracan EVO. 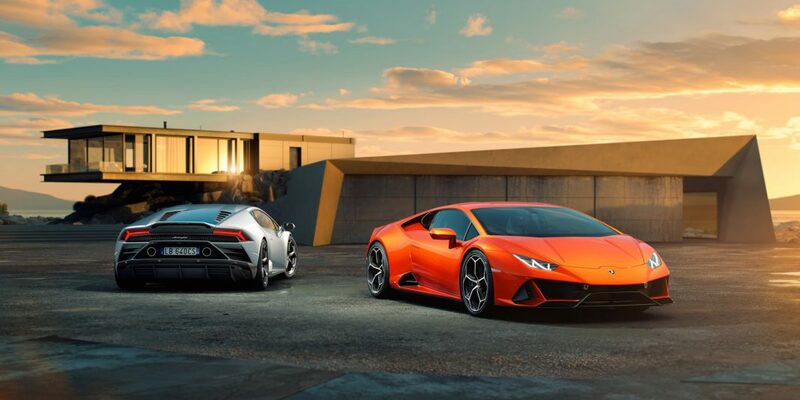 Departing with Lamborghini’s usual naming conventions, the facelift Huracan offers a little more of everything. Aerodynamics, technology and performance! The Lamborghini Huracan EVO uses the same 5.2 litre, naturally aspirated V10 engine as the outgoing model. The specifications suggest that it has been lifted out of the Lamborghini Huracan Performante. 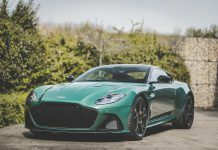 It makes use of 640 hp and 600 Nm of torque. As a result, the EVO sprints from 0 to 100 km/h in just 2.9 seconds. 200 km/h is dispatched in 9.0 seconds. Weight is 1,422 kg. In contrast, the Performante weights 40 kg less. The gearbox remains the same, as a result you have the same choice of Lamborghini’s traditional driving modes; Strada, Sport and Corsa. 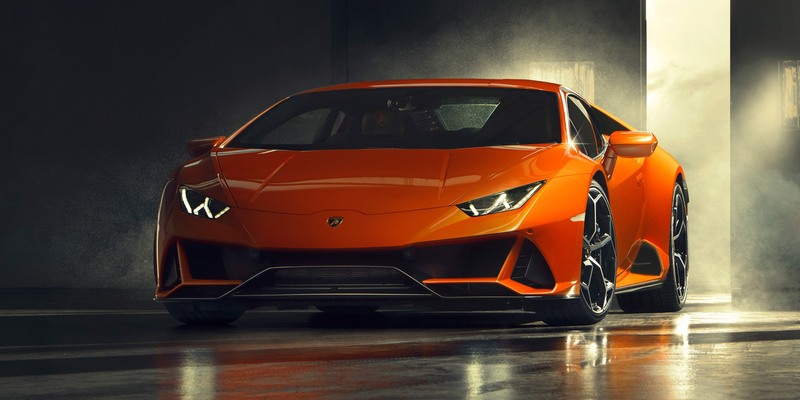 The Lamborghini Huracan EVO has Lamborghini’s rear-wheel steering and torque vectoring system. New to the EVO is a system called Lamborghini Dinamica Veicolo Integrata (LDVI). The LDVI controls key aspects of the car’s performance, using intelligent algorithms. 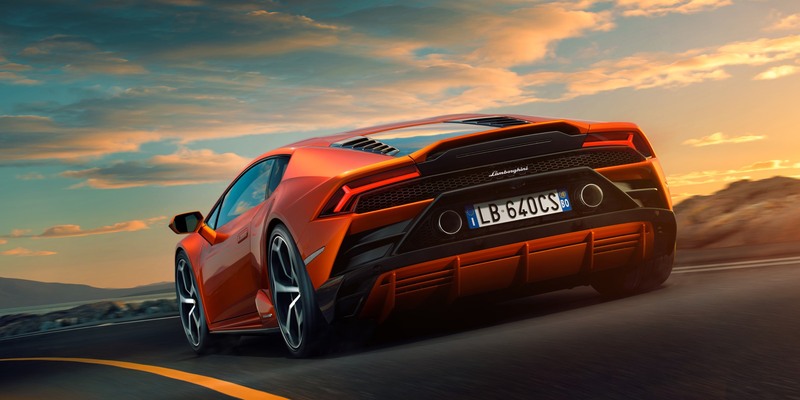 The Lamborghini Piattaforma Inerziale (LPI) system of accelerators and gyroscopes helps refine the operation of the dynamic systems and Lamborghini’s Dynamic Steering is also updated. As a result, the Huracan Evo should handle the race track with ease. It is in the area of aerodynamics that Lamborghini have pitched this update though. The car receives a new front bumper and new side air intakes. The rear is all-new too, the twin exhaust pipes are lifted from the Performante. The integrated tail spoiler also adds some downforce. Inside, Lamborghini install a new 8.4 inch touchscreen in the centre console. It gets gesture control and the ability to control most of the key functions of the car including the seats, climate and multimedia. 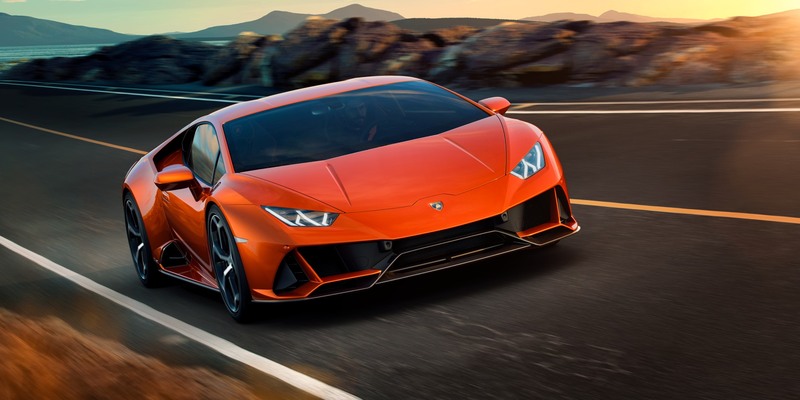 As an option, Lamborghini will integrate a dual camera telemetry system. The new Lamborghini Huracan EVO gets an Arancio Xanto, four-layer colour. A 20 inch set of Aesir rims are also unique to the EVO. 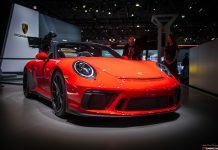 New trim levels are on offer together with increased options for Lamborghini’s Ad Personam program. Customers will be able to take delivery in Spring of this year. The price? In the UK, £165,256, in the US $261,274 and in China, 3,298,100 RMB.